LOUIS “BLUES BOY” JONES – a native of Galveston, Texas was a remarkable and extremely talented musician from the early 1950’s and 1960’s. Notable achievements of this singer, songwriter, pianist & drummer include becoming the lead singer of the Bobby Scott Orchestra, recording a song for a major motion picture, working with the late Ray Charles and traveling & performing with B.B. King. Jones also sang backup with various blues & gospel acts on labels such as Peacock records, Sabra records (both in Houston, TX at the time) & Decca records in New York. Movie work included the song, “The Birds Is Coming” for the Alfred Hitchcock thriller, “The Birds” from 1963. Ronnie Rocket, my friend. I thank you for caring and supporting my father, the legendary Louis Blues Boy Jones! This has been an amazing journey for all of us traveling down memory lane of a blues legend’s life from Galveston Texas. In October 2007, after discovering information about him over the Internet. I had a vision and I believed that one day, I was going to write a book about my Dad’s life and hope someone will make a movie. March 13, 2015, The Re-Introduction of a Blues Legend was released. 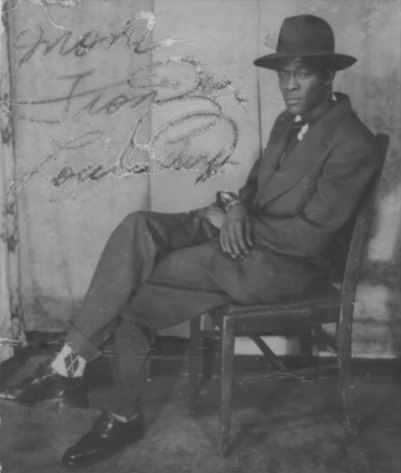 Sill dreaming BIG about a movie or documentary on Blues Boy Jones!. Thanking all of his wonderful supporters around the globe! Thank you sir for caring! Ronnie tomorrow (Tuesday 6/27/2017) will mark 33 years since my father left us. The magnitude and impact how LOUIS BLUES BOY JONES’ music still effects people is mind blogging to me. I’m super excited. RIP Daddy while your music is still rockin’ the world!. I love and miss you so much. Happy 86th birthday! Gone never forgotten. I thank each supporter for all you do concerning Jones’ music and legacy! Much love and respect to everyone. His oldest daughter LaVern Jones Lemons.